needs of each client and each project. 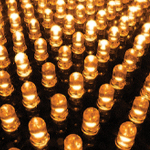 propose a custom-tailored digital solution. 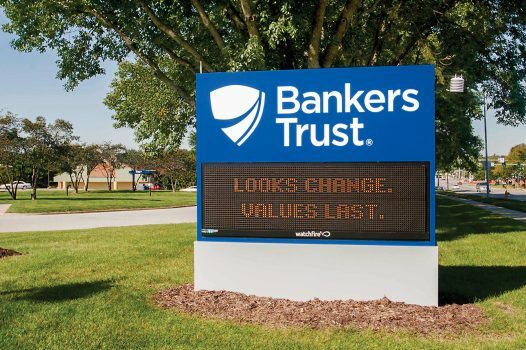 Bankers Trust, a Des Moines-based bank, had all exterior electronic message boards upgraded to enabled them to control the messaging from one central location. 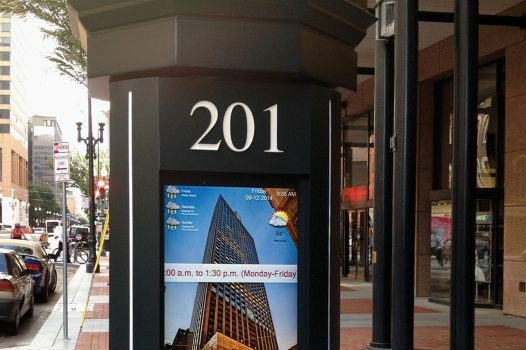 The stunning addition of a new building canopy also brought forth a need for a new exterior digital monument sign for one of New Orleans’ most prominent Class A office towers. 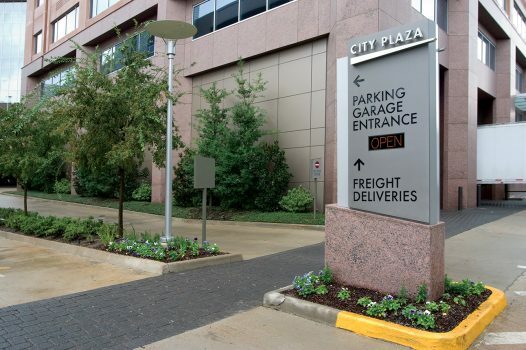 This exterior solution includes digital LED message boards integrated into parking garage entry signs that indicate if the lot is full or open. custom monument or mounting directly to the facade of a facility. technology and supported by our first-rate service offerings. Ideal for displays that will only show text messages such as time and temperature. Available in red, amber, white and blue. 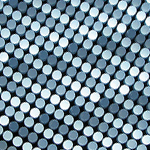 Ideal for single-color displays that will show photos and text messages. 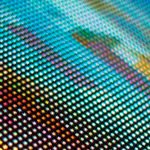 RGB medium-resolution displays are best for displaying “still” color images and graphic advertisements. 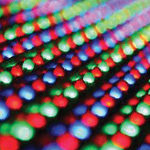 RGB igh-resolution displays are ideal for full motion video and displays such as those seen in sports venues.